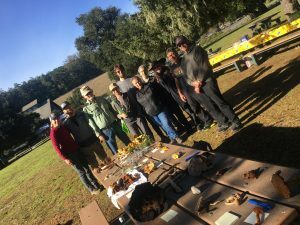 After the rains finally arrived, the Mycological Society of San Francisco (MSSF) and the Mycological Society of Marin County (MycoMarin) held a joint foray this past Sunday at Point Reyes. Eric Multhaup led this foray for MSSF. Our own Kevin Sadlier was afflicted with flu like symptoms and could not make it. We were at Bear Valley at 9:45 a.m. on a beautiful, sunny but cold, day. We were not many, but we were enthusiastic and hopeful about the foray. A group of foragers went up the mountain, some of us stayed down for the easier amble in the woods. You would think that all the rains would make the mushrooms bloom, but it has not happened. Where are the Amanitas, Agaricus, Russulas, Suillus and Xerocomellus we usually see at this time of the year? 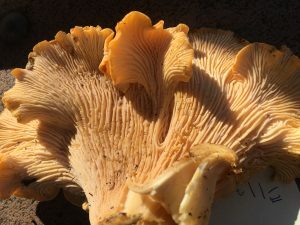 Where are the troops of Mycenas and where did the Turkey Tails hide? There was a dearth of mushrooms in the forest. But not everything was lost. 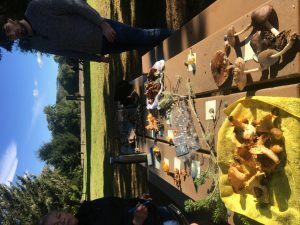 First foragers Elizabeth and Patrick Linehan not only found mushrooms, but edible ones. They came down from the mountain with two full bags of Chanterelles. One was way past its time, but the other held pristine specimens. Most lucky first timers! 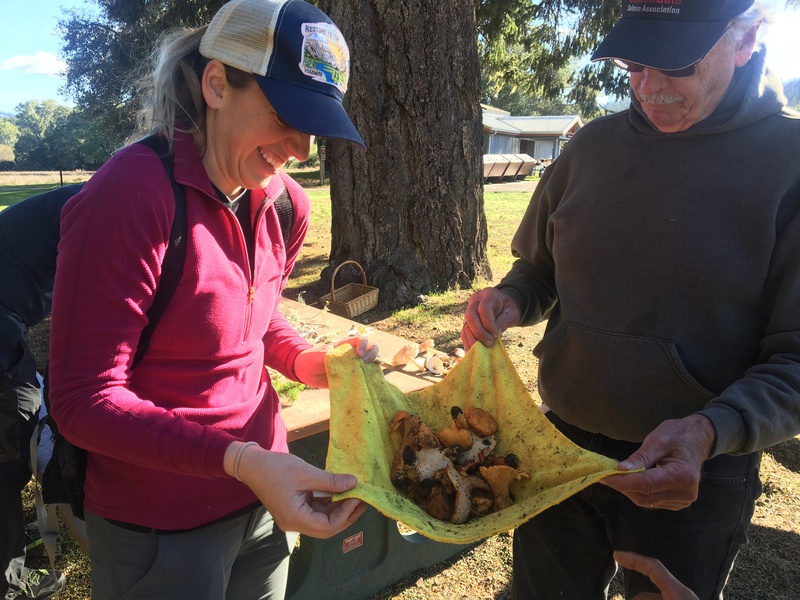 Virgilio also came back with a good stash of Chanterelles. Eric Multhaup prepared his beautiful Vegan Chanterelle Soup which we will also be enjoying at our Wild in Marin Fungus Festival on January 5th. Not many of us cooked, anticipating the flavorful treat that is Eric’s soup, but Jay Berger made a tasty rye bread and Elizabeth prepared a deep dish apple pie that was beyond yummy.